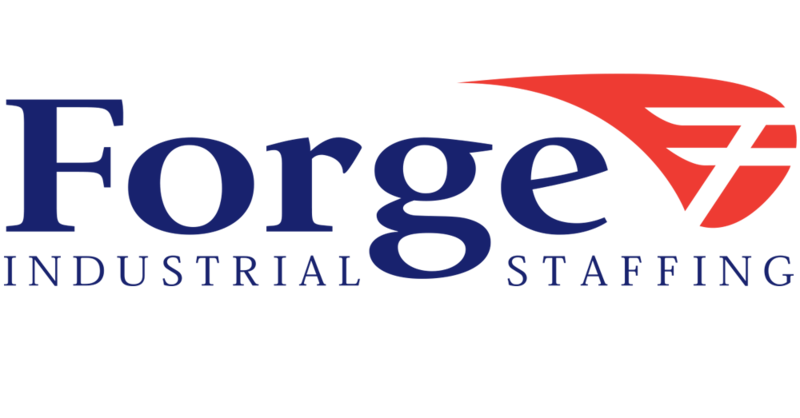 Forge Industrial Staffing specializes in light industrial work and works with a wide variety of clients such as manufacturing plants, greenhouses and warehouses. Positions available include packaging, assembly, production line work, forklift driving, welding, machine maintenance and everything in between. The depth and diversity of our clients allows Forge to be your one-stop destination whether you’re seeking an entry level light industrial job or a skilled light industrial position. What are your requirements for applicants? Forge Industrial Staffing is an Equal Opportunity Employer and does not discriminate on the basis of religion, color, creed, national origin or any other protected class. Anyone is welcome to apply with Forge. Forge’s two basic requirements are that all applicants must be at least 18-years-old and be able to provide documentation establishing the individual’s right to work in the United States. Many of our clients have secondary requirements in order to be considered for that particular job. This can include things such as relevant experience, a high school diploma or GED, or the ability to pass a pre-employment drug screen. How do I apply for your open positions? Forge accepts applications online or in person at one of our local offices. Once the application has been completed, a Forge service coordinator will schedule you for an interview. During your one on one interview with Forge, you will have the opportunity to ask any questions you may have about our services. You will also be asked questions that will help us get to know you and that help us evaluate the many potential job opportunities with Forge. You will also be asked to complete tax paperwork, a Federal Form I-9 (for which you will be asked to bring identification that establishes your right to work in the United States) and a small number of internal policy forms. Once the process is complete, applicants are immediately eligible for any open position for which they meet the job specific requirements. What are the pay rates of your jobs? Forge Industrial Staffing does not have a set pay scale for the positions that we fill. Instead, the pay rates offered for each position are set by our client – the company whose location that the employees work at will determine the hourly pay rate, based on the criteria of the job. Several of our clients also feature incentive programs such as safety awards that the Forge employee is also eligible to participate in. What's the best way to find a position through your company? Forge prides itself on the contact that we maintain with our employees. The most straightforward way to be offered a position is to be at our office ready to go to work as we often have jobs that need to be filled quickly. Sign into our office lobby at least 1 hour prior to the desired shift time. Be prepared to submit to a drug screen. Dressed in appropriate clothing for industrial environments. Forge does not guarantee any position however, taking the initiative to be in the office and ready for work greatly increases your chances of finding a job assignment quickly. Forge employees are paid on a weekly basis. The work week runs Monday through Sunday with the hours that you work during any given week are paid on the following Wednesday. Checks are available for pick-up at your local Forge office and a photo ID is required for the check to be released. We will not release a paycheck to any individual except that specific employee and we do not mail paychecks. Will I be subjected to a background check? Forge Industrial Staffing does not require a criminal background check as part of our hiring criteria. There are circumstances based on our client’s criteria where a background check could be a requirement for a specific job. Any applicant being considered for that position will be informed of the parameters of the background check and will be treated in accordance with all applicable laws. Does your company offer benefits? Yes, we do! We offer paid holidays, vacation pay, health/dental/vision insurance, a referral bonus program and an employee of the month program. Please click here for more details. Do you offer permanent positions? In today’s ever changing economy, there is no such thing as a permanent position and companies are continually modifying their workforce to match their current business levels. Some of Forge’s positions are designed to be short-term in length, ranging from a single day to several weeks. However, many of the positions that Forge offers are ones that allow the employee to establish themselves with the client and can lead to a regular, full-time opportunity. A Forge service coordinator will inform you of the assignment’s expected length and potential when discussing each opportunity with you. As with all things in life, what is put into the opportunity given helps determine the outcome. Things like punctuality, attendance, attitude, willingness to learn and adaptability all play a strong role in whether the client will consider a temporary employee for any open permanent positions. Read our Helpful Hints to find out what it takes to be a leader.